Ancient Stones - Lothian - 032 Standing Stone, Wright's Houses, Gorebridge. Medium sized stone of pink sandstone with some interesting lichen growth, set in a hawthorn hedge along a minor road to the east of Gorebridge. Note: the stone may be obscured with vegetation during the summer months. The stone measures 1.10m high, around 1.00m square at the base, reducing to 0.60m at the top. It also has a slight lean to the north east. From Gorebridge take the B6372 for Pathhead, turn right at Mossend and straight on to a narrow minor road. Continue to the cross roads. The stone is located a few yards along this road to the south of the crossroads. Note that the roads are narrow and parking is difficult. Although there may be space to park at the crossroads. What struck me about this single standing stone was the variety of lichens on its western face and the richness of the red sandstone of the stone itself. The stone is well hidden in a hawthorn hedge and is easily missed but that seems to make hunting it down all the more worthwhile. Try and go there in the evening when the sun is low to the west and the lighting conditions will highlight to colours of the stone. 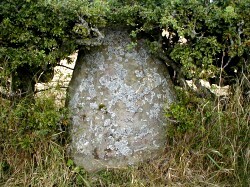 A return visit to this stone, mainly to record some measurement, did not bring any additional information to light. However, examination of the stone from the rear did reveal it to be quite massive, over 1.00m square at the base. It's original purpose still remains a mystery, although I suspect it may either be a boundary marker or have some connection with the ancient track that is now the present day road. There is also a large cream-coloured sandstone boulder about 25m along the road to the south, located just before an old field entrance. The stone is quite large and has some damage, probably resulting from vehicular traffic. 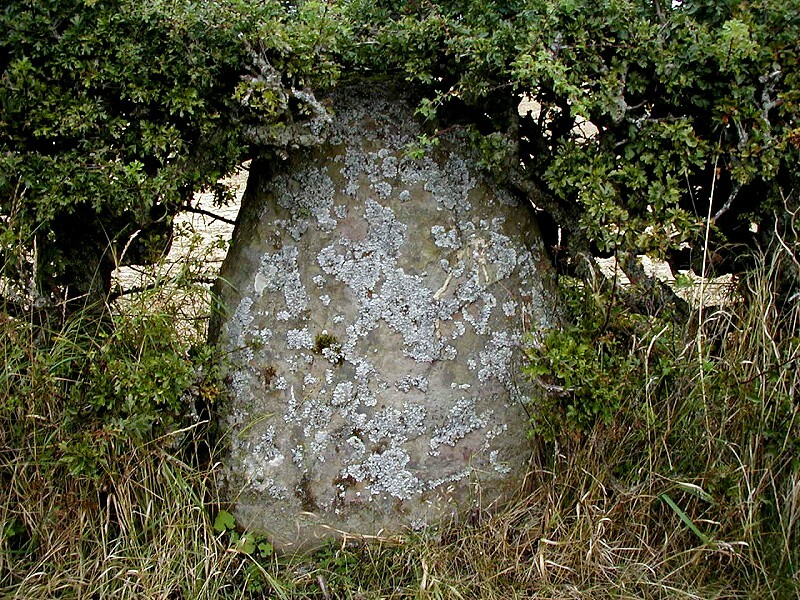 What is not clear is whether this stone may have once been associated with the standing stone or simply the result of field clearance. Local news reports have revealed that the lone standing stone near Wright’s Houses, Gorebridge, is not without its share of, shall we say, X-Files? Local news and gossip has included a startling number of strange events and sightings in the surrounding area, such as close encounters with alien beings, alleged alien abductions, un-marked “black” helicopters, strange nocturnal lights, a floating green “eye”, sightings of grey aliens and “Men in Black” moving people out of certain areas, black flying triangles and even recorded footage of alien UFO’s! For further information try an Internet search with the words “Gorebridge and “alien” as your search terms.